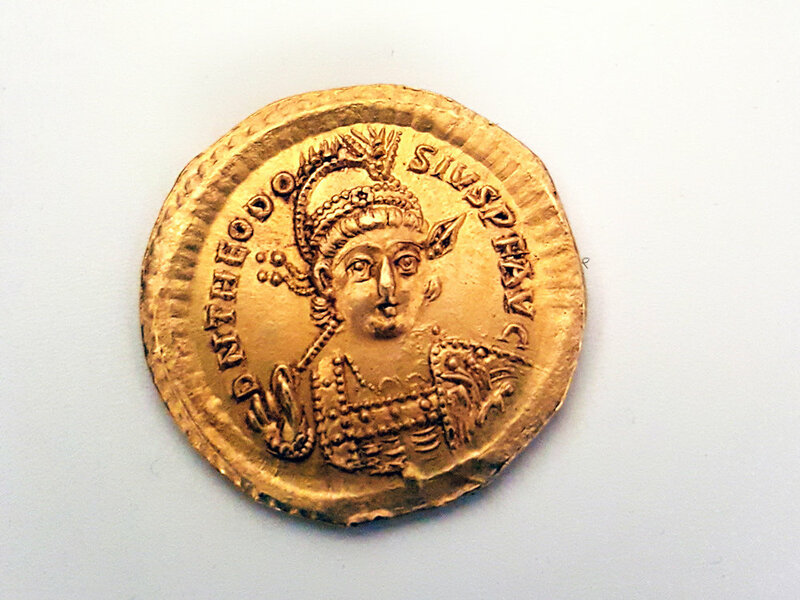 The Byzantine Emperor Theodosius II. The Goddess Victory holding the Staff of the Cross. The coin was discovered by Ido Kadosh, Ofir Sigal, Dotan Miller and Harel Grin, four students from the Haemeq Hamaaravi High School in Kibbutz Yifat in the Jezreel valley. The students were orienteering in the fields alongside the Zippori stream in the Galilee, adjacent to the trail. 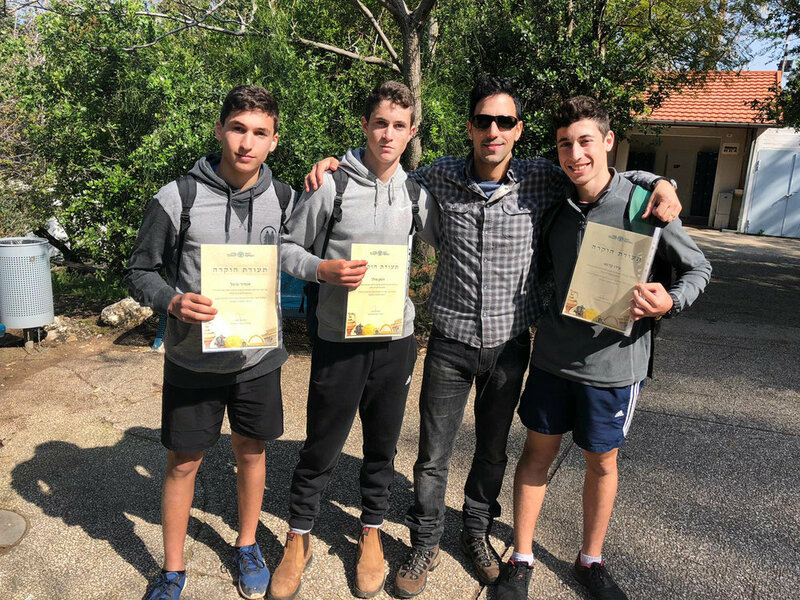 When they spotted a gold coin lying on the ground, the pupils informed their their geography and history teacher Zohar Porshyan who contacted the IAA. When IAA Inspector Nir Distelfeld arrived at the site the students handed him the coin and showed him where they had located it. “It is uncommon to find single gold coins” Distelfeld says, “as they were very valuable, and people took care not to lose them.” The boys were commended for reporting the rare find, and awarded with a Certificate of Good Citizenship.